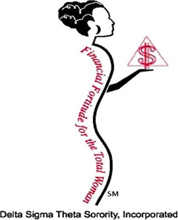 Economic Development - Houston Metropolitan Alumnae Chapter of Delta Sigma Theta Sorority, Inc.
Financial Fortitude, Delta’s current economic initiative, is a process that will help program participants to set and define goals, develop a plan to achieve them and to put the plan into action. The key components of the program include Credit Principles, Investments, Retirement Savings, Home Ownership, and Estate Planning. The objective is to assist chapter members and the local community in realizing the overarching goal of personal wealth and financial security through an understanding of the basic principles of goal setting, financial planning, budgeting, debt management, savings and investments, education savings, retirement planning, home ownership, insurance, estate planning and entrepreneurship. Please forward any inquiries regarding our Economic Development Programs to Economic@hmacdelta.org.